The Karenni Social Development has compiled many traditional Karenni recipes into a cookbook to share with our friends and supporters. This cookbook contains traditional methods of cooking that have been passed down for centuries. The Karenni tradition of cooking centers around foraging through the jungle and working together as a community to create delicious and unique dishes. We hope you enjoy learning about our culinary traditions and cooking our favorite recipes with your friends and family! Dee Sah (pounded rice) is a traditional Karenni dish that is enjoyed during celebrations such as weddings, funerals, birthday parties, and traditional festivals of Khae Htoe Bo and Ehdou Phon Mee. Dee Sah has been enjoyed for hundreds of years and connects Karenni people to their forefathers and ancestors. Dee Sah is a dish that is used to bring the community together and spread happiness. 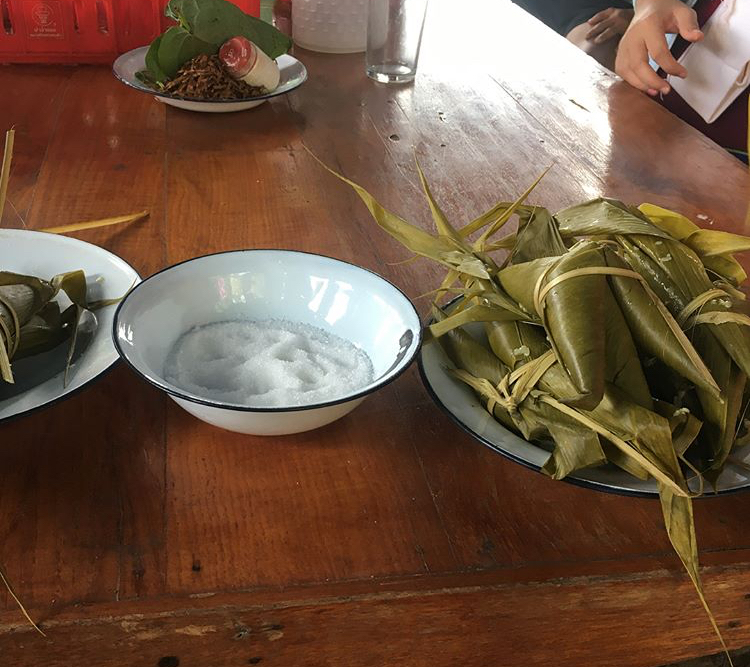 While it is one of the oldest and most traditional Karenni dishes, it is still one of the most popular and enjoyed dish by Karenni people young and old! Dee Sah is meant to be shared with others at parties and festivals as well as for leftovers to be brought home to children and families. Mote Hee Kha is a blend of Burmese and Karenni cultures and is one of the most loved and delicious foods from Myanmar. During special festivals and birthday parties relatives and friends are invited to come together and enjoy Mote Hee Kha. Karenni ancestors would only cook Mote Hee Kha for special events, but today around Myanmar you can buy Mote Hee Kha in shops every day! Deeku Festival is a traditional Karenni holiday. Deeku is celebrated by Karenni people inviting all of their relatives and guests to their homes. At their homes, they will provide food especially deeku, traditional wine and meat. Karenni people will visit many homes where they eat, drink and enjoy each other’s company. This celebration is very important for our Karenni to show solidarity and pride in our traditional ways. 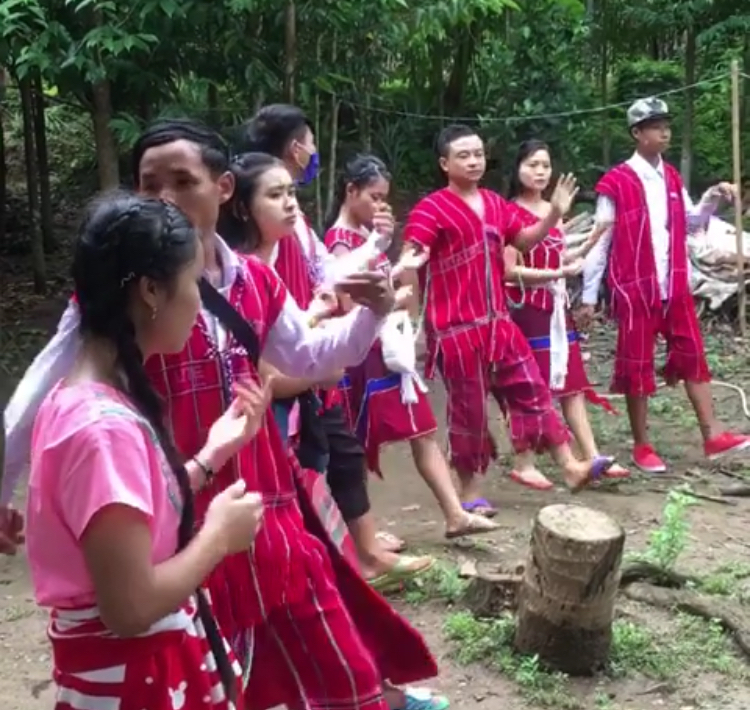 It is an opportunity for all Karenni people, young and old to dance together, wear their traditional clothes, play their traditional music and visit house to house. Deeku: Rice wrapped and steamed in leaves and dipped in sugar and shaved coconut. SDC students celebrating Deeku by visiting neighbors and performing traditional Karenni dancing.